Abu Dhabi is a city that will never bore you out. With its various entertainment venues, museums adventure parks and shopping precincts, this city has so much to offer its visitors. However apart from all these, the country has a food palate that suits everyone and anyone. Although there are all types of restaurants from Indian to Chinese and Lebanese to Italian scattered across Abu Dhabi’s map, Emirati delicacies are a must try while you visit this amazing country. Al Harees is a dish of meat prepared in almost all Emirati homes. This is prepared with meat and wheat flour. The dish is slow cooked in a clay pot or oven and served up with ghee. This dish is served in different ways in different Arabian countries. This dish is mainly prepared during the Ramadaan season. Al Majboos is a Meat Dish which has a distinct blend of flavours. Dried Limes are added to the Boiling Meat along with spices. Cooked Saffron rice is layered on the meat dish. This is similar to the Biryanis cooked in kitchens all over the world. Al Madrooba is a delicacy made out of salted Fish, spice sand a thick sauce. Shawarmas are a household name in most parts of the world especially in Asian countries. This dish is prepared in different ways by alternating the filling between chicken, sea food and fish. However a few ingredients such as garlic sauce, onions and pickles remain the same on the dish. 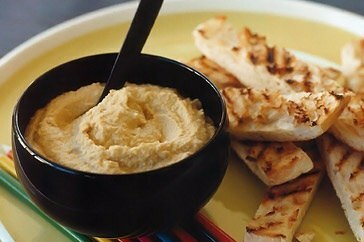 Hummus is a famous dip around the world made out of chickpeas, lemon juice and Tahini paste. This unique delicacy is served up with bread and fresh vegetables and also serves as a great appetizer. Apart from this Stuffed camel is another delicacy served by elite families and is a famous dish at functions such as wedding ceremonies. Taste all this and more when you travel to this amazing country. Stay at a hotel in Abu Dhabi that provides luxury accommodation Abu Dhabi. Spend your days in this beautiful land enjoying its culture and heritage while staying at the Eastern Mangroves, Abu Dhabi and enjoy true Emirati hospitality.